Envious that our American brothers now has the Motorola Atrix? Itching to spend your hard-earned cash? 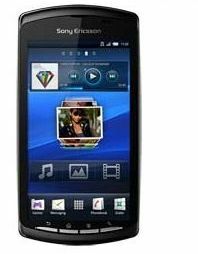 Got your eye on the Sony Ericsson Xperia Play as your second choice? If you answer yes to all these questions, then you might want to head on over to mobiles.co.uk and pre-order the Sony Ericsson Xperia Play. According to mobiles.co.uk, the expected availability date for the X-Play is March 28th, that's only a few days away! Of course the Motorola Atrix may come first but hey, we live in a world of difficult choices. The handset is available for frer from £30 a month with an Orange or Vodafone Contract.